Darling 1930's dress! 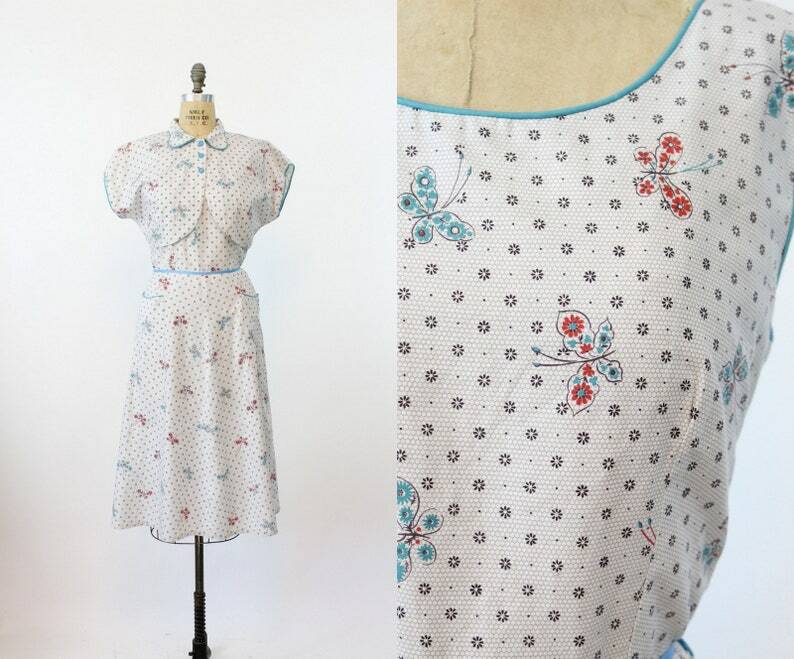 Done in a white cotton with gray honeycomb pattern, flowers and butterflies flutter over the honeycomb print. The dress has a scoop neckline and wide sleeveless straps, the matching bolero has a rounded wing collar with sky blue pipping around the collar and sleeves. The bolero closes at the neck with one button, the other two are decorative. Dress has an a-line skirt and two pouch pockets. Dress has a single button on the side and is unlined. Bust (underarm seam) : 39"